I’m forever searching for ecologically friendly, low-cost alternatives to owning my own house. 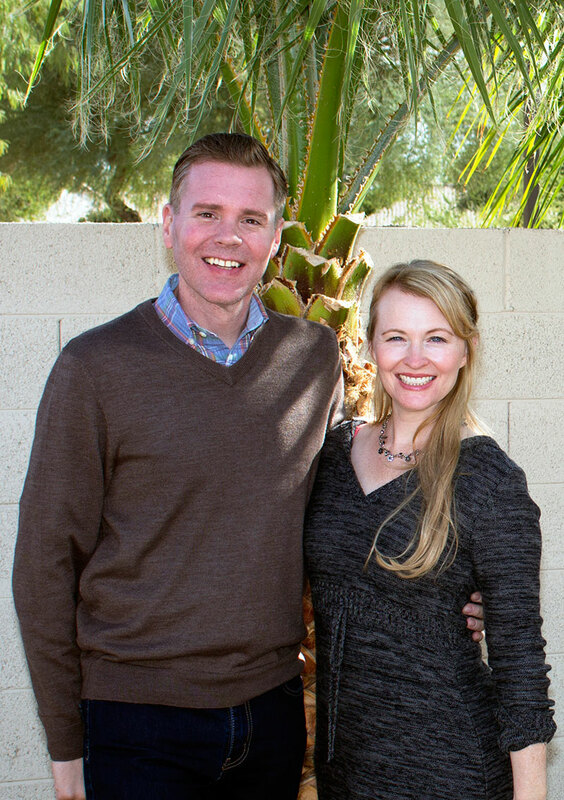 One of my biggest hurdles is the land, especially living in a sprawling urban environment that’s land-locked. However, if land wasn’t an issue, I could potentially build an eco-friendly house for under $10,000….or for as little as $3,000! Want to know the secret? Dirt! Yes, dirt. 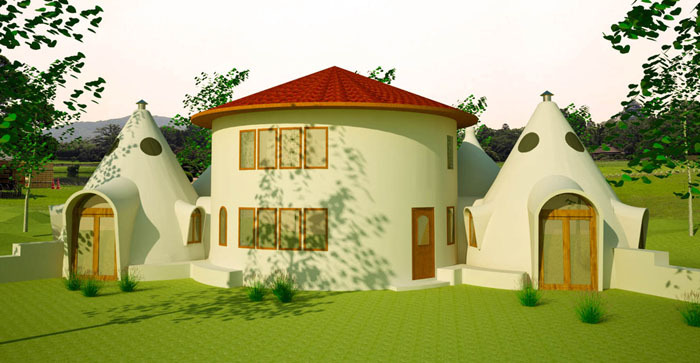 On one of my random internet searches for unusual home designs I came across a building method called Earthbag homes. Basically, these are homes created using bags filled with dirt (I guess Dirtbag just didn’t sound as appealing as Earthbag). Layering plastic or natural fiber bags filled with dirt, a solid structure of walls and possibly a ceiling is created. To hold the bags in place, barbed wire is used between each layer. Wooden framed windows and a door are added and held in place by the bags of dirt. A standard roof can be added using wooden beams. Once the structure is finished, plaster is applied to the exterior and interior to hold it all together. Most of these homes are curved or round, though there are plans for rectangular shaped buildings as well. (Think Hobbit House and Bilbao Baggins). The curved or round structures are stronger and better able to handle natural disasters (such as floods and earthquakes). An advantage to this style of home is that these homes can be built with just a few people with minimal construction knowledge. Other advantages include it’s quicker to build than a cob house, less prone to mold or rodents (like a straw bale home), and fire and termite retardant. I love some of these floor plans. They just flow so nicely. The house plans and illustrations I found on the Natural Building Blog are beautiful. But….finding gorgeous, finished Earthbag homes is a little more difficult. After spending hours searching for contemporary finished Earthbag homes, I was disappointed with my findings. Many “finished” Earthbag homes look nothing more than primitive huts. Apparently the most difficult part of building one of these homes is the plaster. Creating just the right plaster that doesn’t crack isn’t easy. ObiWan, are you there? Just Kidding! 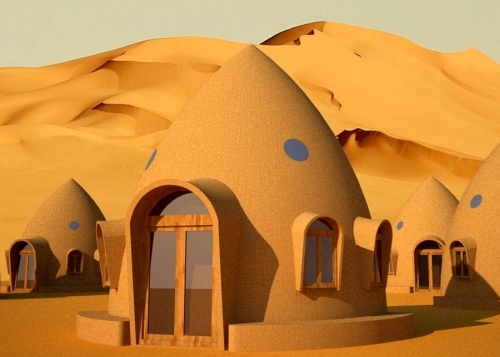 This is one tiny Earthbag home design from the Natural Building Blog. Another drawback to this style of home is that many cities may not grant building permits based on the Earthbag structure. If you live in the middle of no where, building an Earthbag home may not be an issue at all. But, if you live in a big city, you may have difficulties getting permits to build your earthen structure. If you’re interested, need a weekend project, or have free time on your hands, check out these two sites that give detail instructions on how to build your own Earthbag structure: CalEarth and Inspiration Green. You’ll find additional information on both sites as well as the Natural Building Blog mentioned above. Oh, and if you want step-by-step instructions, check out Instructables by a well-known Earthbag builder. If I had land, I might just experiment with this kind of structure. What are your thoughts? Would you experiment with Earthbags? Patio Garden – at Wise Bread today! I would do it. I really love strawbale homes and I think these different types of homes are definitely the way I would want to build my dream home. 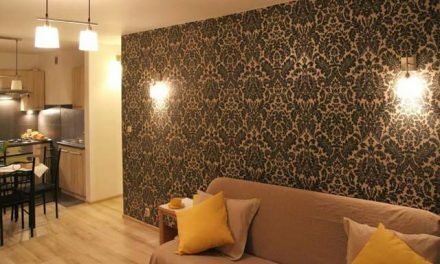 They are more environmentally friendly and I just find their look really nice. Interesting! With housing costs what they are, one has to wonder why people don’t look at alternative approaches such as this. Good example here of how can learn something new every day. Definitely a great way to save money…as long as you already own the land and it’s not under strict ordinances with limited building permits. As I was reading I kept thinking surely these Earthbag homes will run into permit problems unless you live in a remote area on your own land. Then you addressed that aspect at the end. I don’t think these types of home would be allowed in California where everything is extremely regulated. The ironic thing is these types of dwellings are environmentally friendly and that’s what California claims to be. Definitely not in incorporated areas of California. There are a few areas that are “Unincorporated” and I think there’s more flexibility there, but it’s still be a stretch. I’m not sure that I would want to live in one of these homes. Maybe it’s just that I keep thinking “dirtbag” even though the name is EarthBag. I think I would have to see one in person and walk through it to really be certain. I’d do it! Thank you for bringing this company to my attention. I’ve been thinking about tiny houses and what I’d want to put on a little piece of land I have up near Alturas, CA. This might be the way to go. I need to research their heating set-up because I’m hoping to stay as far off the grid as I can. I love the idea of having a home built out of the earth – literally – and the house being sustainable, but my only thing would be heating and cooling in the off seasons. I guess this wouldn’t be much of a concern for those who live in warmer climates, except for maybe the cooling bit. I bet these types of homes stay really cool though. I don’t think my city would grant a permit for an Earthbag home. I dont think I like the round building idea at all, the off grid idea is appealing. The building process sounds rather similar to strawbale, wooden framing with strawinfill covered with plaster. Quite the process, there’s a house like that where I live! @Renee – It is similar to Strawbale houses, but supposedly earthbags have some benefits that strawbale can’t offer. I think the benefits include not having to worry about mold (if the straw gets wet during the building process, that’s a problem).